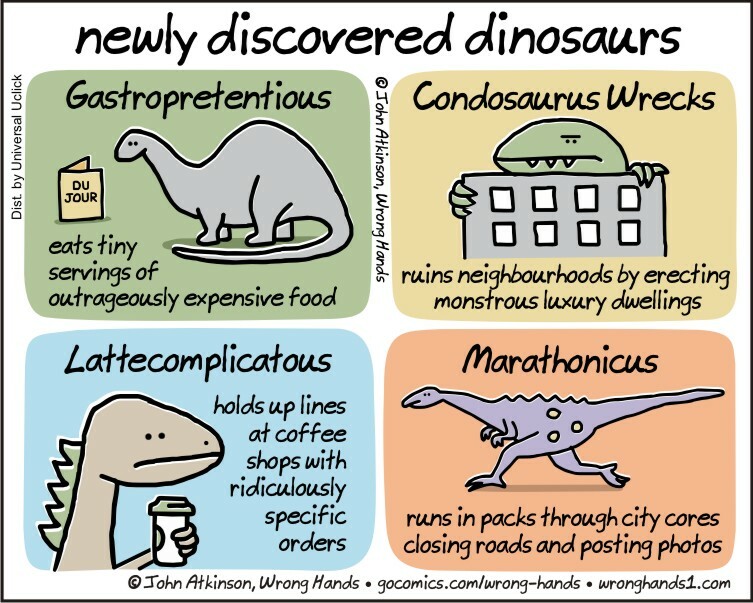 The Condosaurus…ALSO known as the TRUMPasaurus!! As a breed, the Condosaurus lived a short and brutal life under constant fear of the HomeOwnerAssociarapture, a vicious and insidious predator that nitpicked its prey to death with outrageous rules and rigid regulations. on May 21, 2016 at 10:32 am | Reply Jay E.
Is dinosours real alive now,i think dinosours is in tale book.fast time read about dinosours eat tiny food. Sadly, I’m non of them. I am more Gardenosaurus right now, which I’m sure, is an older dinosaur breed.